"In time of crisis, we summon up our strength," wrote poet Muriel Rukeyser. 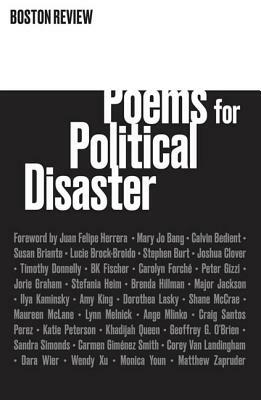 This collection gathers poems--from the eve of the twenty-first century to the month following Trump's election--to mark a moment of political rupture, summoning the collective strength found in the languages of resistance and memory, subversion and declamation, struggle and hope. Poetry is a counterforce. We offer these poems to readers as Rukeyser did--"not walls, but human things, human faces."